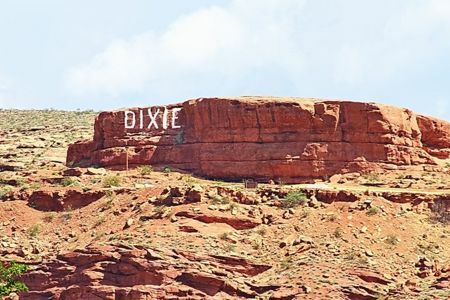 The Dixie Red Hill is a popular hiking and picnicking site in our home town of St. George, UT. There have been many reports of people actually spotting ghosts of the Indians (Skin Walkers) who lived there in the past. I myself have had a close encounter with one of these spirits. I was out for a late night hike with some of my friends when I saw someone following us. It looked like a full grown man with long dark hair and very old looking clothes. He didn't look like a regular man though. I only caught of glimpse of this faint figure but it did give me a creepy vibe. My older sister also had an experience similar to mine only she spoke with the Skin Walker. Her friend was actually possessed by this spirit, but only for about 5 seconds. There's a cave up in the Dixie Hill that was used as a home for these Indians. There have been multiple reports of sounds coming from that cave.